Black and white evening dress with a belt. 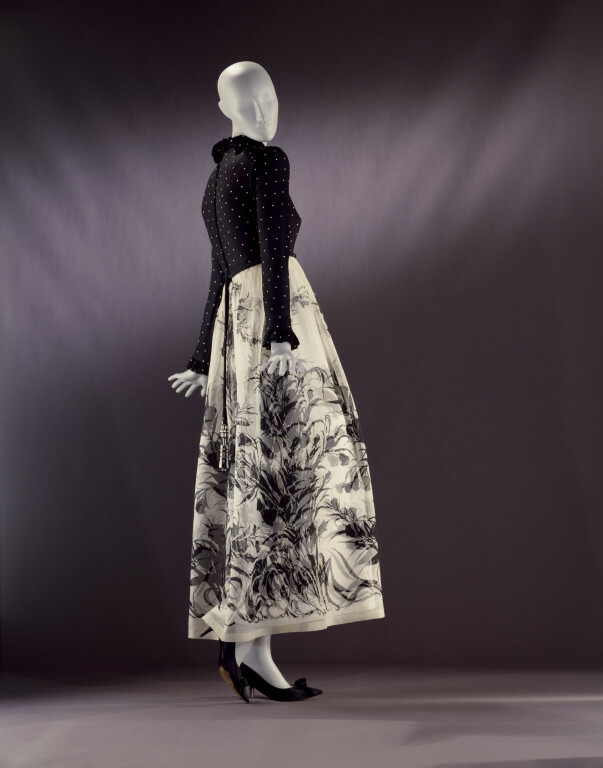 Worn by Ernestine Carter (1906-1983), who was a highly respected 20th century fashion journalist. 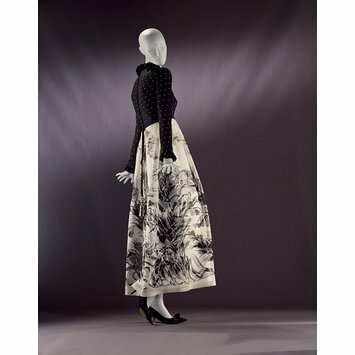 In 1946, she became fashion editor for Harper's Bazaar, and later became an editor for the Sunday Times from 1955 to 1972.